Looking for Church Welcome Speech Sample and very powerful church welcome speeches inspired by the Holy Spirit. We presume this is your first time you have been asked or requested by your church pastor or those in charge of departmental to do a welcome speech in church. So far you are nervous and don't know what to do. Below we have a downloadable speech that is in PDF,it is hosted by PayPal, once you pay $7.99, you will be able to download it instantly. Take advantage of this offer because normal rate you pay $ 10 per page but we are offering you the speech at $7.99 for the two pages and that means you are paying $3.45 per page, what a great discount. We know and understand how nervous one can be when you are asked or requested to do a welcome in church. We are here for you and want to make sure you are ready for the occasion or the church service. Below also are Church Welcome Speech Sample we have prepared for you to assist as you write yours. 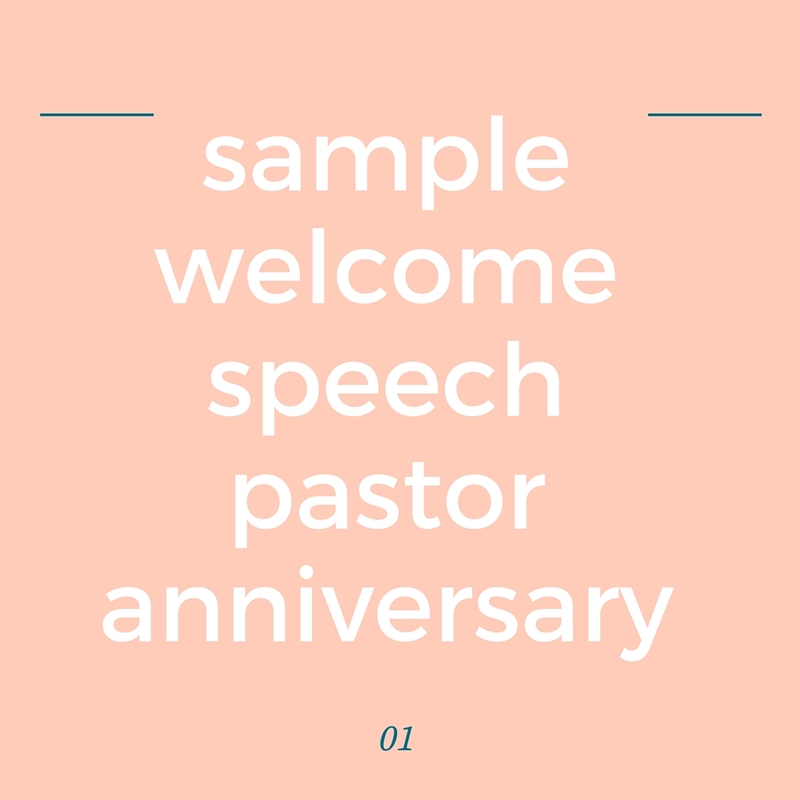 Once you have the above downloadable speech that is customized and can be used in church welcome that you want to do. We have highlighted some of the samples that you can use to share the above welcome speech. The children of the most high,I greet you in the name of our Lord Jesus, good morning, Hope you had a fantastic week and let me welcome you to today service, before us a special guest who is going to speak to us today. Let me see by show of hands how many are going welcoming our speaker to bring to us the bread of heaven. Brother John loves the Lord and God has used him in several occasions to share the word of God. As a church we are very much happy to have today in our church has he speaks to. Here is a Church Welcome Speech Sample sample to have a look at. You can customize to make it fit your church setting. Here is what you need to have in mind when giving welcome speech to your church ,having it in mind that this is also a church family friends day welcome day. give them an introduction of what brought them to that day and also take the opportunity to share with them your beliefs and what the church stands for. Let me take this opportunity to welcome each and everyone of you to our church service. And a very warm welcome to those who are attending for the first time. Whether you were passing by or you are looking for a warm place to worship. We take this time to welcome you in a wonderful way.We are a body of Christ and we love everyone whether it is your first time or second time and so on.Our mandate here is to love one another so that the joy of the Lord maybe full in our hearts. Firstly, we believe in Jesus Christ as our Lord and savior and we extend the olive to those ones who are new to make Him their personal savior because he is the way,the truth and the life and no one comes to the father except through Jesus Christ. As his followers we care about you and all other people. We are here for the purpose of sharing his love and care because that is the command that he left us to do when he ascended to the father.That is what makes us gather each week here.I want to encourage those who are new to fill a form that is found at the back of the bulletin. Just write your names and e-mail address since we would love to get in touch with you and cement this relationship we have created here today.And if you have specific prayer request you can also write it down so that we can remember you in our prayers. 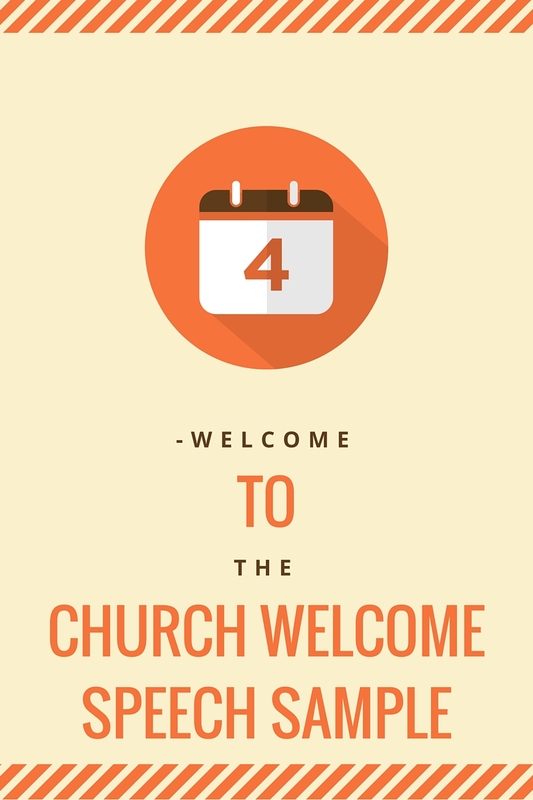 Enjoy your stay here and what do we say to the visitors as members ( members can welcome the new visitors in one accord)And then take the opportunity to welcome them regularly to the church service. I greet you this morning. How are you doing? We thank Him for the gift of life that He has given us in Jesus Christ. We are also grateful for the spiritual blessings that are in Jesus Christ including that He chose us from the foundation of the word, redeemed us in Jesus Christ and sealed us with the Holy Spirit and that is why we are rejoicing in our hearts today. Let us praise God always for His wonders always. As we begin the programs of the day may the Lord of God be with us all through as we aim to know more about Jesus Christ. Stay blessed and now let the day begin. Our visitors who have come today to fellowship with us, we feel honored to host you in the house of the Lord and may you visit us regularly so that we can share the love of God. It's a great honor to have you in our midst as we fellowship together. I know it is the goodness of the Lord that has brought you today. We feel privileged to have chosen our church among many to meet with your Lord. We thank you for your coming and know that our heavenly Father will shower us with the rain of blessings. I greet you in the name Jesus good people of God. It is a great honor on behalf of the church to stand before you at this worship hour as I welcome our visitors. We are very privileged as a church to have so many visitors who have come to fellowship with us. In the midst we have regular visitors who come once,disappears then reappear again, they ate with us today and we also have visitors whose is there first time to be in our church. They are special guests to us. In our list we have many who have recorded their names and if we have any who didn't record their names. We welcome you in a special way and would ask the ushers to record their names. I humbly requests all visitors whether is your first time or its your second time, third time or severally you have joined us for fellowship we ask you to remain behind as we share good time with our pastor and the first lady together with the speakers of the day. Otherwise feel welcome and stay blessed. What a joy in my heart and in our hearts in general as a church for this wonderful occasion happening this day,we have prayed and waited for this day to come and finally it is here with us. As we dedicate this church to the service of God today let us remember to praise God for everything. I hope my eyes are seeing well, I can't imagine the number of people who have come to attend this occasion, in one accord I want to say thank you all,this is a show of love you have for our church and the community at large. I also thank guests and visitors who found time from those busy schedule to come and witness this life time event in our church. Dear servants of Lord, good morning welcome to our church inauguration ceremony that the Lord has set aside so that we can give Him glory and honor. Let me take this opportunity to welcome you all as you participate in this very important exercise that will help us have a footing in worshiping our Lord with confidence. We thank God for according this opportunity and privilege to come together during this occasion as we inaugurate the church for the service of the Lord. We have prayed and fasted to see this day and want to thank God for allowing us to see it. Church members and visitors present, I want to thank you for finding time to be here as we share the love of God that comes from. Feel loved at Jesus feet. Let me take this opportunity to thank our Holy Father who is in heaven for the wonderful love shown to us today. What a joy in our heart to gather in this manner as we celebrate this Holy Mass, as we begin let the love of God be with us all through. This is very important activity in our church calender when we meet together and listen to the word of God. I'm happy and delighted on my heart that many people have today including visitors who have joined us today for the service. I want to thank God for according us this privilege to fellowship together. God bless bless each and every one of us today. Brethren in Christ, I greet you in the name of our Lord Jesus. Let me take this opportunity to thank God for allowing us to be here today and on behalf of my family and myself, we feel honored to stand before this beautiful church. What a joy in our hearts to come and worship with you and also be your ministering servants in this church. We want to thank you for the hospitality and the warm welcome you have accorded to us. We feel at home and thank God for everything. When we were asked by church administration to come to serve,in our own imaginations didn't know what we will find in the ground. After coming here today , we thank God that this place is so good and hope that we shall stay here more so that we can experiment of what we seen today. We praise and glorify Him always. The period we shall be here, we are going to learn more and mostly from heavenly kingdom, thank you and God bless you. Am very happy to stand before you as a child of God,my mum and dad always tells me to be confidence and that is why am confident today. I therefore welcome each and every one of you to our day today as we share the love of God to you as children. Our kids in this church have prepared exciting and educative programs not only to entertain us but which make us to learn of Jesus more. On behalf of the church, I want to take this opportunity to thank the almighty God who is in heaven for allowing us to be here today during this event in our church. I'm privileged to welcome you all to our annual church delegation meeting whereby we are going to deliberate on the issues pertains to the progress of our church and amend the constitution that governs the church. We are so happy to see many of you who have traveled from far and hardened to the call. We have already organized the systems and we are set to conduct the meeting as God will lead us,otherwise want to ask each one of you to offer a silent prayer so that we don't meet any obstacles which can detail the activities not to proceed well. I know our heavenly Father is good and has promised not to forsake nor leave us and will be with us until we finish. Feel welcome to our meeting. Here is a draft welcome speech of church delegates. We want to thank God for this chance given to gather here today as we deliberate issues for our church. May the good Lord guide us as we start and the Holy Spirit be with us all to the end though His name. I greet you through the name of Jesus people of God. What a joy to see so many of you who have travelled from far and wide to come and participate in today 's event which will decide the direction in which our church will take. Your vote will make or break our future. Let me take this wonderful opportunity to thank our Father who is heaven for allowing us to be here, I want to also thank the organizers of this event for making it possible for the delegates to be here, I also thank them for giving me a chance to do the welcome. As we begin this event May the love of God be with us and His will be manifested so that what brought us maybe a success. After we are through, all honor and glory will go to God. Be happy while you are here and trust that God is on control. Thank you and God bless you. I greet you through the mighty name of Jesus. I'm humbled to welcome each one of you have come to witness this occasion when am being ordained to pastoral work . It has been a long journey but thank God for the far that He has brought me, all I can say is glory to Him for the goodness. I know that He will give me strength to the work that He has bestowed upon my shoulders above all I ask you to continue praying for me so that our loving God can fill me with knowledge and wisdom to overcome obstacles and challenges that the devil will place on the way. Feel welcome and thank you very much for your coming. I greet you though Jesus Christ, How are you? We want to pray to our God that as we start using this new temple of the Lord,may the Love of God be with us always and the blessings of the Lord be with each one of you who come to worship the Lord here. Thank you for your attendance and coming to witness today. Allow me to welcome you to the house of the lord. I want to greet you in Jesus name, how are you? How is your homes? Thank you for finding time to come and grace this occasion. I feel privileged through the mercies of God on behalf of our church to stand here to do this welcome. This is an occasion as a church we have always looked forward to, a time to witness an event in the history of our church, am happy to be part of it. I hope you too are also excited to be here to witness this occasion, all of us have something to be telling our children that we ever witnessed the ordination of pastor Joshua Darlington. I want to welcome each and every one of you to be part of the larger brethren who want to wish our pastor all the best as he starts another chapter of service in his life. 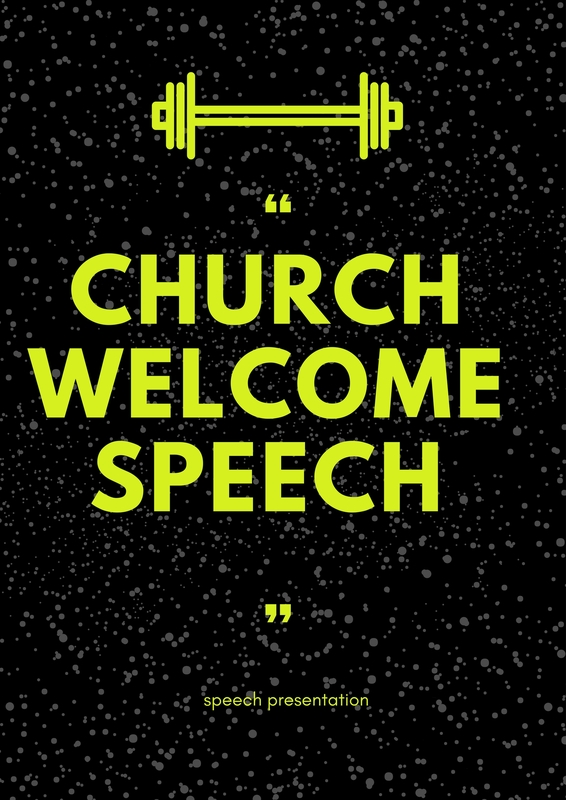 Here is another sample which shows how to give welcome speeches church visitors that you will find here and thereafter. Let me take this opportunity the Lord has given me to welcome you all to today service. It is a great honor to be at Jesus feet. Allow me to welcome the visitors the Lord has given us today. I want to tell you that the Lord loves you and thank you for coming to worship with us today.We want to make a sincere request that you are welcome all the time and you can make this church your local church too. Feel welcome and God loves you all. What a joy that the Lord has given us today as we fellowship together in His house. He said that his house shall be a place for all people to come together for prayers. We are so happy to see this day and I want to welcome each one of you to this service. We are also.privileged to have visitors on our midst who have joined our family as we share the love of God together. How many want to join me in welcoming the visitors in a marvelous way to our service today? Visitors present you can see the hands that everybody is happy for your coming. We thank the Lord for your coming and go ahead also to make this church your worship center if you stay around. I greet you thrpugh the name of Jesus. On behalf of the church administration, I want to take this opportunity to thank each and every one of you for finding time to join us for the fellowship of today. We are very happy that our loving God who is in heaven has given us the free gift of life that has granted this chance to see this day as we share the love of God. We are also happy to have visitors in our midst who are visiting for the first time and want to ask them wherever they are to stand so that we can welcome them in a special way. I want to thank God for the gift of visitors, it is rare to be blessed with such high number of visitors attending a fellowship, this shows that our church is loving and caring to each and every one of us. Our visitors we thank you for coming and want to ask you to remain behind after the service, we have a gift for you. Thank you for coming and make this church your fellowship centers. If this is your first time in church and have been asked to introduce yourself. Here is a speech that you can use..
With due respect, let me take this precious moments that the church has granted to me thank our Lord for the wonderful love given to us. It is a great honor to be welcomed in this church and I'm very happy to be in your midst as we worship together. Thank you everyone for the warm welcome an I want to pray to our Father who is in heaven that may His will be revealed. I can see you are a wonderful congregation and may the good Lord keep you at perfect peace always as you welcome visitors. I'm going to be part and parcel of this church and you will teach me the secret of many things that have witnessed in this church. Thank you and feel welcome. Here is a speech for bible school lecturers used to welcome bible students for classes. Ladies and gentlemen, I greet you in the name of our Lord Jesus! How are you. The work a head of us is huge but we know through the grace of God shall accomplish it. Let me welcome you in a special way and feel at Jesus feet as we learn of Him. Here is the welcome speech to students pastors that you can use during the occasion. With due respect, let me take this chance to thank our Lord who is heaven for allowing us to be here. It is a great privilege to travel from far and wide to come as children of God to this training center as get sharpened and be ready for our calls. Just know that it is God who has called you and the work that He started in you shall bring it to pass, always trust Him to guide you in all that you do during your stay in this center. We have qualified ministers whom God has sent us here who will be your instructors and they will guide you as you train in this ministry. We want to also thank the Holy Spirit whom God has poured in our midst shall guide and help us in our weaknesses. Feel welcome and may the love of God dwell in us forever in Jesus name. Brethren in Christ, with due respect allow me to take this opportunity to thank the Lord for allowing us to congregate here during the worship our, what a joy in our heart to find time to come and fellowship together. Just feel at Jesus feet and may we pray for the Holy Spirit to guide and help us until we finish in Jesus name. It is with great joy to stand before you at this time to first thank our God who is in heaven and also thank you all for coming to fellowship with us. I feel honored to present to you our brothers and sisters who have made the decision to join us so that we can be one thing as Jesus our Lord is with the Father, it was the prayer of Jesus that He prayed 2000 years ago that is binding us each day with love from the Lord. How many together with welcome our new brethren to join us and be part of our membership? We thank God and praise Him forever. Brethren in Christ, I greet you in the name of our Lord Jesus,peace be upon you. It is a great honor to stand here on behalf of the church organization to welcome you to the service today. We are very happy to see each and every one of you coming to fellowship with us. We want to thank the Lord for enabling us to be here. From the book of Psalms 133:1 the bible says how good it is for brethren to stay together being happy. It is through such fellowship that we are able to grow our faith in Jesus. As we begin the program of the day, we want to ask the Lord to fill us with the knowledge of truth and give us also the spirit of understanding. Thank you for listening to me and God bless you as we share love together. It is a great honor through the mercies of our Lord Jesus to stand before you at this hour to welcome each and every one of you to this appreciation service. We always as a church set aside one day in a year to appreciate our brethren who have played a key role in our church through their contribution as the Lord has led them. Actually each and every one of us has done something to make the mission of Jesus to be achieved and we deserve recognition. The committee that was given the task is going to give us the list. Meanwhile I know that the Lord is leading this exercise and guiding us all along. May the Holy Spirit guide and help us finish the appreciation service well. This is a rare occasion in our church, we are taking this precious moments of our lives in welcoming our new pastor who recently moved in from another station. We want to thank God for making it possible for us to come here to witness it. We also take this chance to give God glory for the gift of life. As we share this wonderful moments together with our new pastor, we know that God send him here for a purpose. In every generation God always raises someone to speak a specific message. I strongly believe that the Lord send Pastor John here with a special message for us and may we take time to discover what message God has for us through our new pastor. As the outgoing Pastor used to say..Love one another. I will also echo the same way that we continue loving and showing love to each other as we fellowship together. Pastor John welcome to our church and may the good Lord use you in a mighty way. Thank you children of God for listening to me and thank you very much. Our principal, the administrators present and the pastors who have come to train. I greet you in Jesus name. On behalf of the school management and myself let me take this opportunity to thank our God who is in heaven for allowing us to be here today. What a day that the Lord has given us, we have been praying for this occasion and want to thank Him. I feel humbled to stand before you at this time to welcome you to our training center. The period you are going to be here,we expect you to conduct yourselves with high decorum and just know that it is the Lord who sent you here and not yourselves. The work that you have been called to do is noble and need a mind that is decided and willing to be used by the Lord. There is a lot that we are going to share with you but for today, we want to welcome you and help you settle down. We ask our loving God to fill us with wisdom and knowledge so that we can be able to walk in the path that Jesus Showed us. Feel welcomed all of you and Jesus loves you. I greet you through the mercies of our Lord Jesus! I feel humbled before at this hour during this occasion,let me take this opportunity to thank our heavenly Father for allowing us to meet once again for this annual celebration. We have been praying for this event and want to thank our God for making it possible for us to congregate here. I want to welcome each and every one of you and ask you to feel at Jesus feet. We have prepared much today and I believe at the end of the whole exercise we shall give God honor and glory. Stay blessed and allow me now to welcome the Emcee of the day to continue with the program. Allow me to thank our Almighty for giving us this opportunity today as we fellowship together. Let me also welcome each and every one of you to our service,if there is any visitor or guest who is joining us for the first time, may you stand wherever you are. I'm so happy to introduce to you our newest prayer program which is starting this week, as the head of prayer department, let me take this chance to welcome each and every one of you. I know that together we can because it is a program we have always yearned and looked forward to, I invite you officially to join the rest who have already decided. The theme of this program will be " PRAY WITHOUT CEASING". Keep on praying for the speakers so that God can use time well as He purposed. Otherwise thank you and stay blessed. It is great joy through the mercies of our Lord Jesus to stand before as I do this welcoming session. Our Church members together with the visitors present feel welcome at Jesus feet.I want to also in a special way welcome the new comers in our church to stand up as we recognize and welcome to our fellowship. We are humbled through the blood of Jesus to have you in our church. We appreciate for your coming and may our good Lord be with you always. Welcome again and again. We invite you to our lunch session after the divine hour. I greet you through the mercies of the Lord. what a joy to see many you here today, the year is coming to an end and we want to thank God for His faithfulness and for keeping us safe to meet as church counselors. As we celebrate the year of the Lord, I want to welcome each and every one of you to feel at Jesus feet. We have prepared activities including speeches from dynamic speakers who have already arrived and are present with us today. I want to ask each of you to keep pray for this occasion so that the Holy Spirit will move with power. At the end when we leave here shall give our God glory. It is another wonderful day that the Lord has given us once more to worship and fellowship together. Hope the week has been good and the Lord has taken care of you. Thank you for finding time to come and worship the Lord with us, we appreciate for together we are going to be blessed. I'm humbled through the grace of God to stand before you this morning as I welcome each and every one of you to our morning devotion. We are very much privileged to have our bro Enock to come and speaker to us. I take this chance to welcome him and together with me, how many say, let brother Enock stand and share the word of God, according to how God spoke to him. Brother Enock the stage is yours. Let me welcome you all to our service today and feel at Jesus feet because He love us and care for us so much that He gave His life for us to be alive. We have a great Hope as a Church to praise the name that the Lord Has given us and that name is Jesus Christ. Welcome visitors and my fellow church members who believe in Jesus Christ. I greet you in Jesus name! What a joy in our hearts today to meet here once again so that we can glorify our loving Father who is in heaven. Nobody can claim that you would see this day on your own where it not for our loving God though the grace that we have in Jesus who is our Lord. Greet your neighbor and tell him or her Jesus loves you! Before we pray together. Let reflect back on how much the Lord loves each and every one of us that we are able to smile. Imagine how many are in bed sick and others have lost their loved one as we are speaking now. Let us now pray to our God as we begin this service of the day. Here are the baptist church welcome speeches to guide you if you are a Baptist to share during baptist church welcome occasion in the church. Giving glory to our heavenly Father who has given us the grace to be here. Our pastor and fellow church members including the invited guests who have come to worship with us today. Feel welcome at Jesus feet. We pray that as you entered through the church doors, you felt the presence of the Holy spirit and welcome to the church that we honor our God ,sing to God and praise Him always. Again welcome to the house of God and stay blessed as you listen to Him today. Look at this Church Welcome Speech Sample to welcome the church to the service. Feel welcome and at Jesus feet as we begin this program. We are privileged to gather this morning as we start the service of the day.let me take this opportunity to welcome each and every one of you. Turn to your name and welcome the person in Jesus name. Allow me to take this precious moments to thank our dear loving God who is on heaven for the gift of life and this provision to have a fellowship together. The week has been long and we thank Him for carrying us through despite the ups and down we faced every day. As we begin the service we can't fail to recognize visitors and esteemed guests who have come to worship with us, if you are sitted near a visitor whom we have not recorded the name please stand with him or her. Today we have exciting programs that will end late in the night and in that case, our hospitality team has organized lunch for all of us, I urge you not to go home. We care for you. During lunch time we have literature materials that we are going to give each and every one of you. With those few remarks,let me set the program to begin an announced. May God bless you as you listen to the word. Let me take this opportunity to thank our Lord for allowing us to see this day. We also thank God for taking us through the year and we have seen His hand at work. The last time we had our annual program God's marvelous work was seen. I'm happy you have landed on our page to find welcome samples for your church. You are not here by accident but by a purpose because we are unique.You will have good church welcome speech and speeches in our page. Why are we unique in the sense that,we provide what you will not find nowhere else.That will make your welcome for church program to have a fellowship church welcome that is fantastic. As you are going to discover.We want to help you save time so that you can do what you love doing most. Time is very precious to a person who cares. We are making an effort to save a lot of your time by providing what you are looking for in a timely manner. To have all the modifiable speeches and materials for the church. You can download any speech or even a poem for an occasion in the church. We keep up updating the page with well written speeches and other materials that you will need. That is our brick and mortal work that has made us to master the art. You have a surety of a quality work that will make you happy with the correct speech for the church. Meanwhile below are Church Welcome Speech Sample to have a glimpse of what you expect in the special page. Here are other samples that you may find helpful as you prepare for an occasion in church. Hope you have found the page helpful and you can continue to share the celebration goodwill messages to fellow church members by liking our page here.